A freshly released IMF’s World Economic Outlook brings no comforting picture to anyone within the G-7, especially in the US and EU: The WTO Round is dead, trade wars are alive, GCC is rapidly Pakistanising while the Asia’s core and its Far East slows down. No comfort either comes from the newest Oxfam Report – Are 26 billionaires worth more than half the planet?, which the ongoing Davos Vanity Fair known as the WEF tries to ignore (as much as this gathering of capital sustains in ignoring labor). The Brexit after-shock is still to reverberate around. In one other EXIT, Sartre’s Garcin famously says: ‘Hell is other people’. Indeed, business of othering remains lucrative: The NATO 70 summit will desperately look for enemies. Escalation is the best way to preserve eroded unity, requires the confrontational nostalgia dictatum. Will the passionately US-pushed cross-Atlantic Free Trade Area (substituting the abandoned TIPP and compensating for the Sino-US trade war) save the day? Or, would that Pact-push drag the things over the edge of reinvigorating nationalisms, and mark an end of the unionistic Europe? Is the extended EU conflict with Russia actually a beginning of the Atlantic-Central Europe’s conflict over Russia, an internalization of mega geopolitical and geo-economic dilemma – who accommodates with whom, in and out of the post-Brexit Union? Finally, does more Ukrainian (Eastern Europe’s or MENA) calamities pave the road for a new cross-continental grand accommodation, of either austerity-tired France or über-performing Germany with Russia, therefore the end of the EU? Southeast flank already enormously suffer. Hasty castling of foes and friends caused colossal geopolitical vertigo in Turkey, whose accelerated spin produces more and more victims. Is the EU an authentic post-Westphalian conglomerate and the only logical post-Metternich concert of different Europes, the world’s last cosmopolitan enjoying its postmodern holiday from history? Is that possibly the lost Atlántida or mythical Arcadia– a Hegelian end of history world? Thus, should this OZ be a mix of the endemically domesticated Marx-Engels grand utopia and Kennedy’s dream-world “where the weak are safe and the strong are just”? Or, is it maybe as Charles Kupchan calls it a ‘postmodern imperium’? Something that exhorts its well-off status quo by notoriously exporting its transformative powers of free trade dogma and human rights stigma–a modified continuation of colonial legacy when the European conquerors, with fire and sword, spread commerce, Christianity and civilization overseas – a kind of ‘new Byzantium’, or is that more of a Richard Young’s declining, unreformed and rigid Rome? Hence, is this a post-Hobbesian (yet, not quite a Kantian) world, in which the letzte Mensch expelled Übermensch? Is this a supersized Switzerland (ruled by the cacophony of many languages and enveloped in economic egotism of its self-centered people), with the cantons (MS, Council of EU) still far more powerful than the central government (the EU Parliament, Brussels’ Commission, ECJ), while Swiss themselves –although in the geographic heart of that Union – stubbornly continue to defy any membership. Does it really matter (and if so, to what extent) that Niall Ferguson wonders: “…the EU lacks a common language, a common postal system, a common soccer team (Britain as well, rem. A.B.) even a standard electric socket…“? Kissinger himself was allegedly looking for a phone number of Europe, too. Baron Ridley portrayed the Union as a Fourth Reich, not only dominated by Germany, but also institutionally Germanized. Another conservative Briton, Larry Siedentop, remarked in his Democracy in Europe that it is actually France who is running the EU ‘show’, in the typical French way – less than accountable bureaucracy that prevents any evolution of the European into an American-style United States. Thus, Siedentop’s EU is more of a Third Bonapartistic Empire than possibly a Fourth German Reich. The Heartland or Rimland? 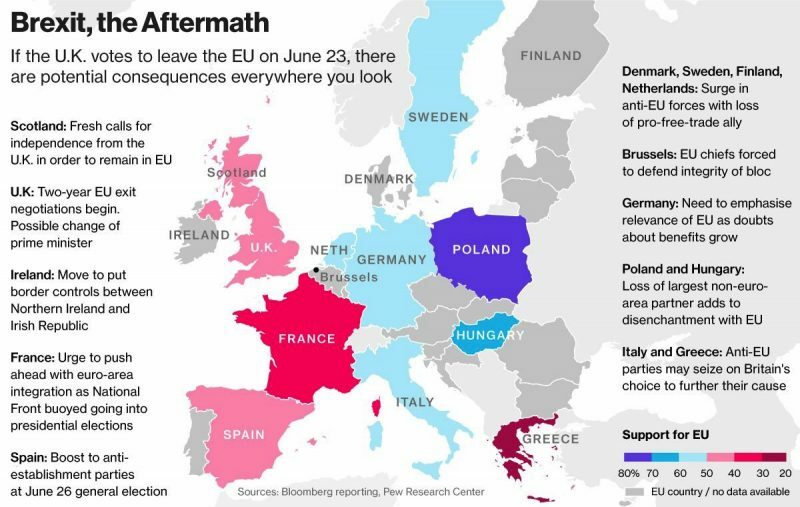 Regardless of different names and categorizations attached, historical analogies and descriptions used, most scholars would agree upon the very geopolitical definition of the EU: Grand re-approachment of France and Germany after WWII, culminating in the Elysée accords of 1961. An interpretation of this instrument is rather simple: a bilateral peace treaty through achieved consensus by which Germany accepted a predominant French say in political affairs of EU/Europe, and France – in return – accepted a more dominant German say in economic matters of EU/Europe. All that tacitly blessed by a perfect balancer– Britain, attempting to conveniently return to its splendid isolation from the Continent in the post-WWII years. Hence, living its Brexit distance from the continental Europe for most of its history. However, the inner unionistic equilibrium will be maintained only if the Atlantic-Central Europe skillfully calibrates and balances its own equidistance from both assertive Russia and the omnipresent US. Any alternative to the current Union is a grand accommodation of either France or Germany with Russia. This means a return to Europe of the 18th, 19th and early 20th centuries – namely, direct confrontations over the Continent’s core sectors, perpetual animosities wars and destructions.